Spain will formally request a bailout for its crisis ridden banks on Monday, finance minister Luis De Guindos said. 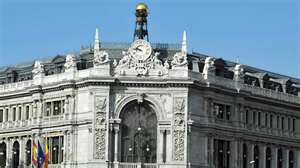 An independent audit of Spain’s banks concluded that a maximum of €62bn (£50bn) of capital would be required, but ratings agency Fitch yesterday criticised the report. Fitch said the estimate was based on the idea that banks would only need a 6pc core tier one capital ratio – a key measure of a bank’s financial strength – to regain market confidence. Fitch however, which believes Spain’s banks could need up to €100bn of capital on a worst case scenario, said a higher level of capital reserves would be needed otherwise “the market is unlikely to resume large-scale lending to banks after such widespread losses”.